Brett, Greek Coins (MFA), no. 0134. Diameter: 20 mm. Weight: 8.11 gm. 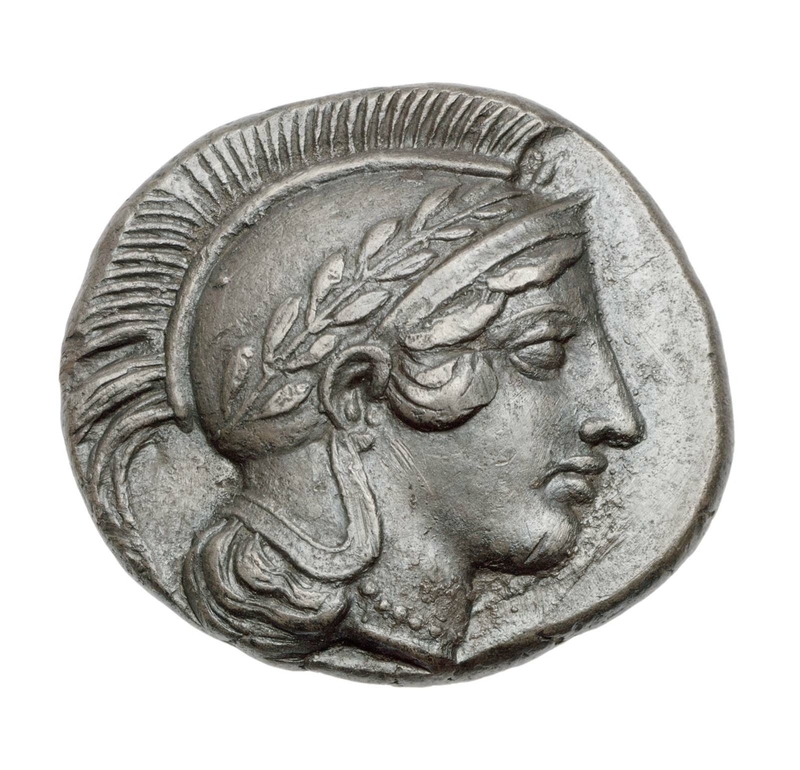 Obverse: Head of Athena, profile to right, in Attic helmet bound with olive, and dotted necklace. 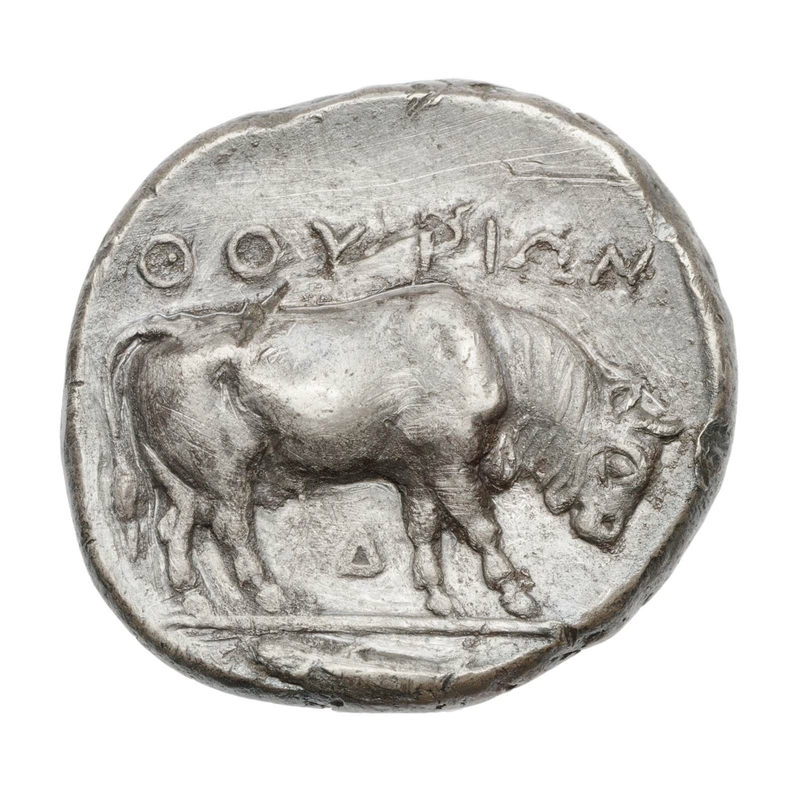 Reverse: Bull walking to right with head lowered. In exergue a fish, horizontally, to left.